Thank you for your interest in having a christening service at St Peter’s. We would be delighted to baptize your child (and/or you!). Do join us for a Sunday service where you will be warmly welcome. 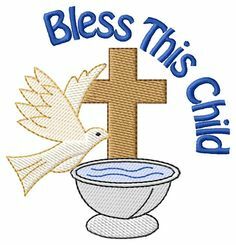 If you are thinking about having your child baptized, then this page has lots of information for you. If you are an adult who is thinking about being baptized, please phone the Vicarage (455 4682) for more details. Christening? Baptism? What’s the difference? There is no difference between a christening service and a baptism service. Some churches will use the word ‘baptism’ and some the word ‘christening’. Children are baptized during a christening service just as couples are ‘married’ during a ‘wedding’ service. HOWEVER, whichever word you use, serious promises are made about bringing your child up in the Christian faith. If you are not ready to make solemn promises, do ask us about Thanksgiving services instead. Who can have a baptism at St Peters? In line with the rules of the Church of England we are able to welcome anybody who lives within the Parish of St Peter, or is a member of the church (somebody who attends regularly). If you are not sure if you live in the parish, you can find out on the A Church Near You website – just click here and enter your postcode. Baptism is about recognising the gift of God’s grace within the faith community. If you live outside the parish but would like to be part of the worshipping community here, you will be most welcome to make St Peter’s your church and then apply for baptism. Please come along and talk to us! What happens at a christening? 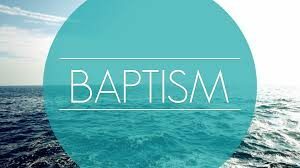 In a baptism service parents thank God for his gift of life, make a decision to start their child on a journey of faith and godparents promise help and support. As a church we will promise to welcome your child and pray for their family. You and your godparents will be asked to say, on behalf of your child, that you believe in God and that you will help your child up to grow up as follower of Jesus. You will also have to say that you have decided to turn away from everything which is evil or sinful and instead to turn towards Christ. These are serious promises, and will have to be said out loud in front of your friends and family during the service, so choose your godparents carefully as they need to understand what a privilege and responsibility they are taking on. Godparents must be baptized themselves, and ideally will be regular members of a church as it is their job to help your child grow in faith. Normally you will choose two godparents the same gender as your child, and one of the opposite gender, but you can have up to a maximum of 5. We hold regular sessions where you and your godparents will be invited to come along and learn about what Baptism means, and to think about how you will keep those promises you will make. We will stay in touch with you to help you keep those promises. There are a number of reasons people ask for their child to be christened. Sometimes it is because they’d like to thank God for the birth of their child, or maybe just because they were baptized themselves and it feels like it is something that should be done! Whatever the reason, you don’t have to go to church regularly to have a christening, but we find starting to come along before the service helps to make it feel more special on the day. Given the promises being made it is definitely worth coming back afterwards so you and your child can learn more about the wonderful thing you have done for them! Having your child baptized is a good opportunity to think about your own faith and the faith of your family. A christening marks the start of a lifelong journey of faith as part of the local and worldwide Christian family. Our faith journeys never end, and at Saint Peter’s everyone who wants to explore their faith is welcome. When can I have a christening? Baptisms usually happen in a block, one Saturday morning a month (sometimes in ‘wedding season’, it is a Saturday or Sunday afternoon). When you apply we will be in touch within a couple of days to let you know when the next available date is (for 2019 : Feb 2nd am, March 2nd am, April 6th am, May 4th am, June 1st am, July 6th am, Aug 3rd am, Sept 7th am, Oct 5th am, Nov 2nd am – We don’t baptize in December or January because of other commitments in the diaries). Due to the high number of baptisms and weddings, and because we share our Vicar, it is rarely possible to respond to particular requests for dates, but we will offer you the nearest we can manage! Occasionally you will be the only family in a service, mostly there will be two families. The baptism service lasts around thirty minutes, and you can fit around 50 guests per family. On special request, we also baptize in the main worship service, which is usually the second or third Sunday of the month. This service is the family communion, and is quite busy, so a more limited number of guests (12-20) will fit. This service lasts around an hour. No, a baptism doesn’t cost – we don’t charge for the heating or staff to run the services, or the baptism candle that we will give you. However, there is a statutory fee of £14 for a certificate, so we will ask you for a £10 contribution towards that if you would like a certificate. Paying this in advance also confirms your booking, because we have an increasing number of people who don’t contact us to cancel and just don’t turn up and this takes booking availability away from others. If you are not sure if you can make the promises required in a christening service, or are not sure you want to raise your child as a Christian, please still get in touch and speak to us about what else we can do to give thanks for the birth of your child. You might also choose to give thanks when your baby is just born, or if you have adopted a child into your family and you simply want to celebrate this with special words said in church. You may also want to check out the Church of England’s Christenings project for more information – you can find it by clicking here! The information from this page is downloadable or available in church as a document you can keep and read, or give to godparents. If you are ready to enquire about a booking a baptism, please fill in the form below. WHAT MONTH ARE YOU HOPING FOR? Psalm 119:105 "Your word is a lantern to my feet, and a light upon my path." Copyright © 2019 St. Peter's Church. Powered by WordPress. Theme: Accelerate by ThemeGrill.